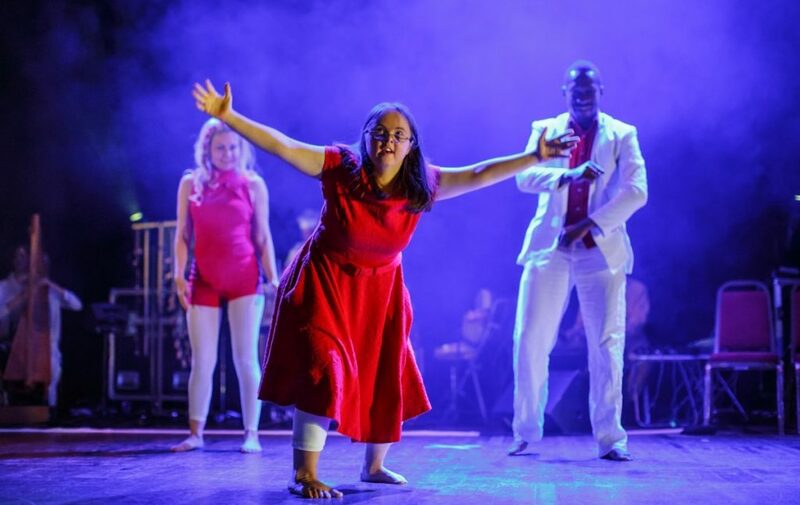 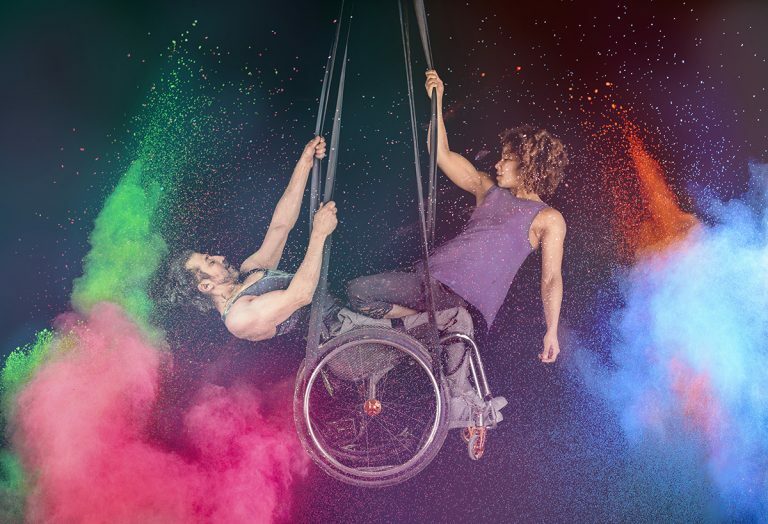 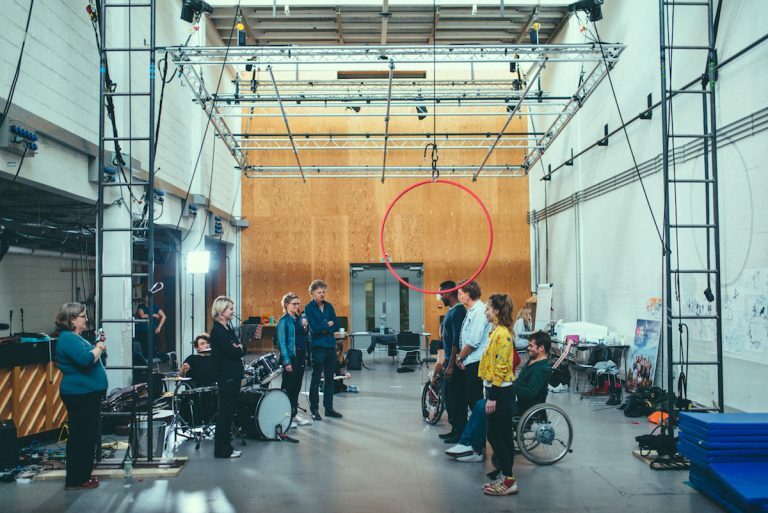 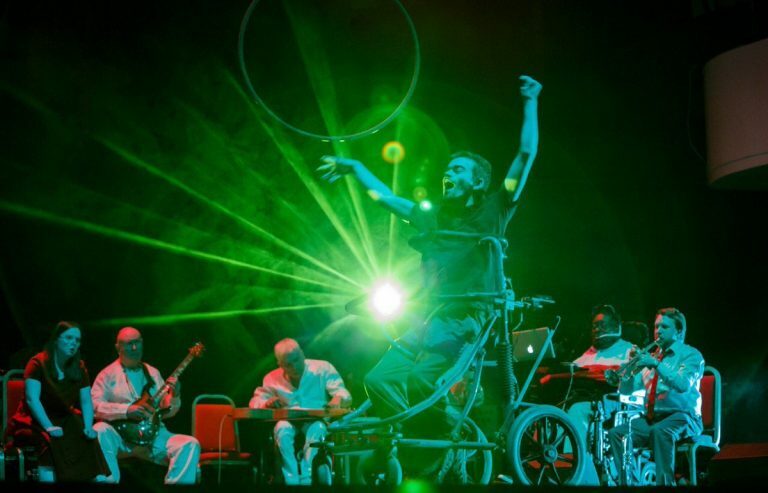 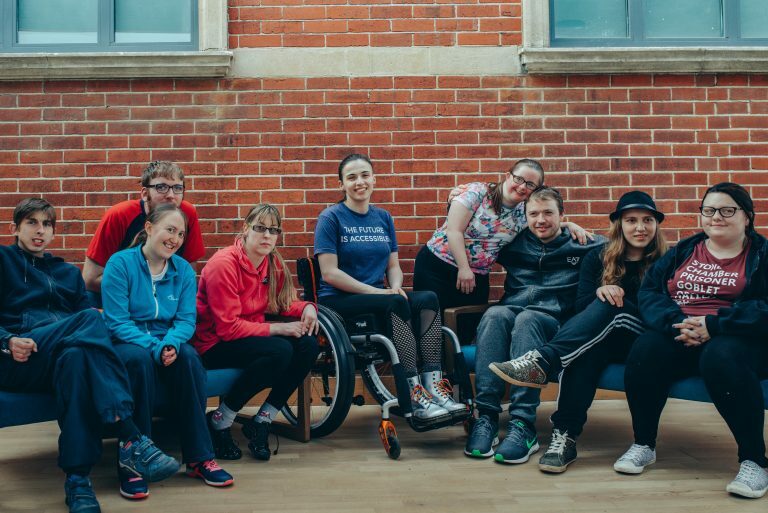 In June 2016, The British Paraorchestra invited Extraordinary Bodies to collaborate on a one-off performance of Terry Riley’s iconic cornerstone of classical minimalism, In C.
Extraordinary Bodies took cues from the musical structure. 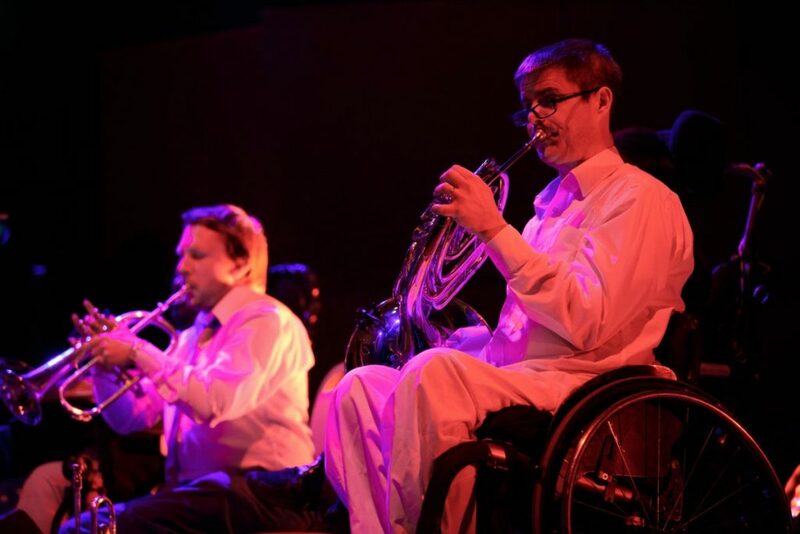 We devised a series of physical ‘gestures’ to develop and combine in a complementary style to the musical phrases. 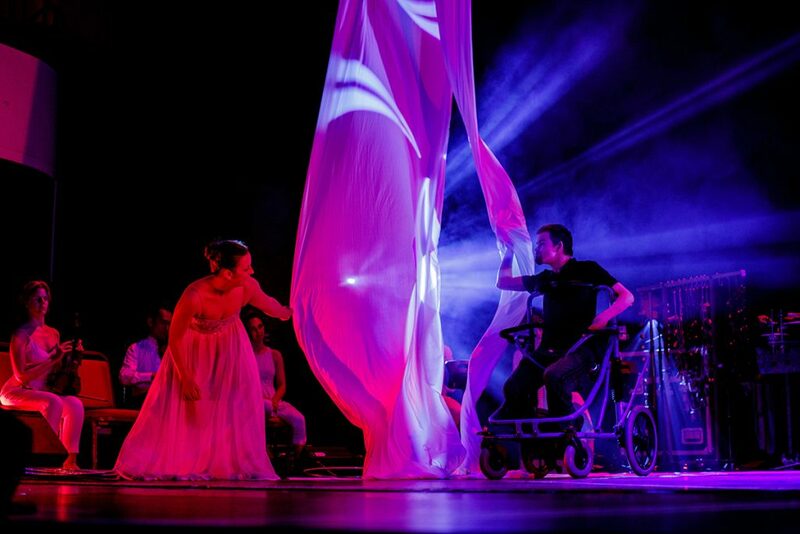 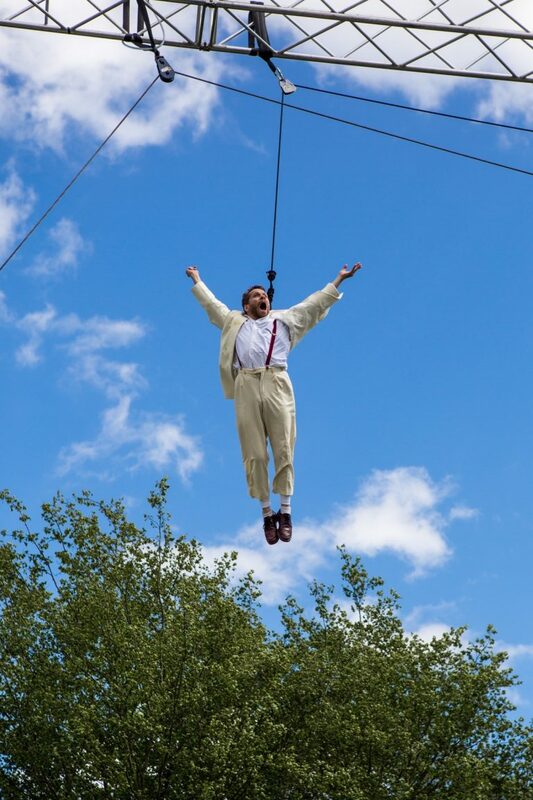 It was a fantastic opportunity to experiment with movement, sound and the senses; to share the skills of our artists with new audiences; and to work alongside a company in harmony with our vision and values. 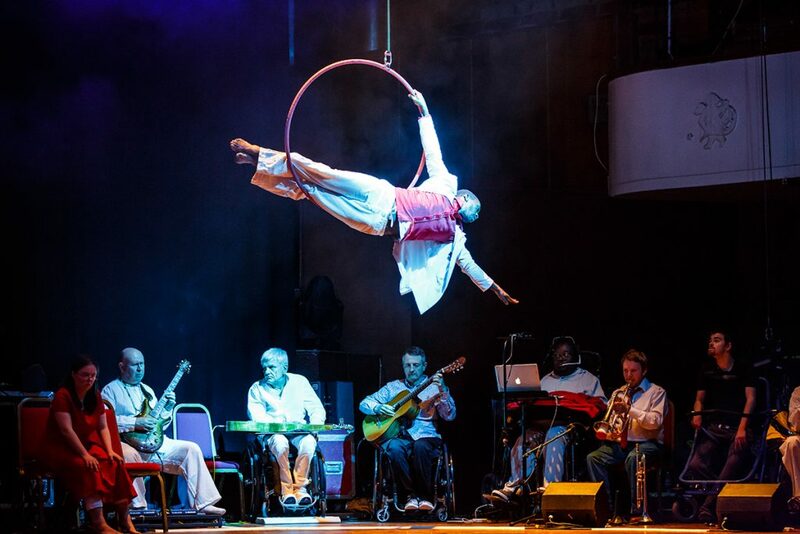 The British Paraorchestra is the world’s first professional ensemble of disabled musicians. 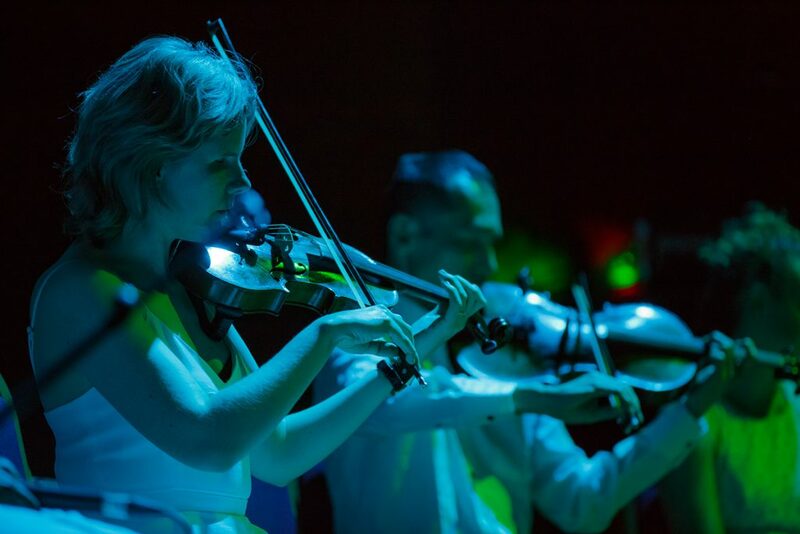 Based in Bristol and led by pioneering innovator of classical music, Charles Hazelwood, they are ideal allies, partners and collaborators for Extraordinary Bodies. 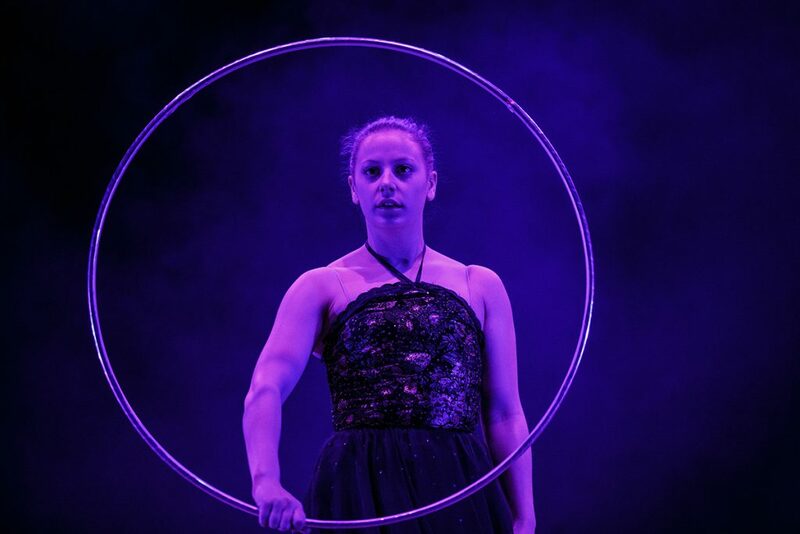 To bring this unique performance to your area please contact us, we are always interested in new partnerships. 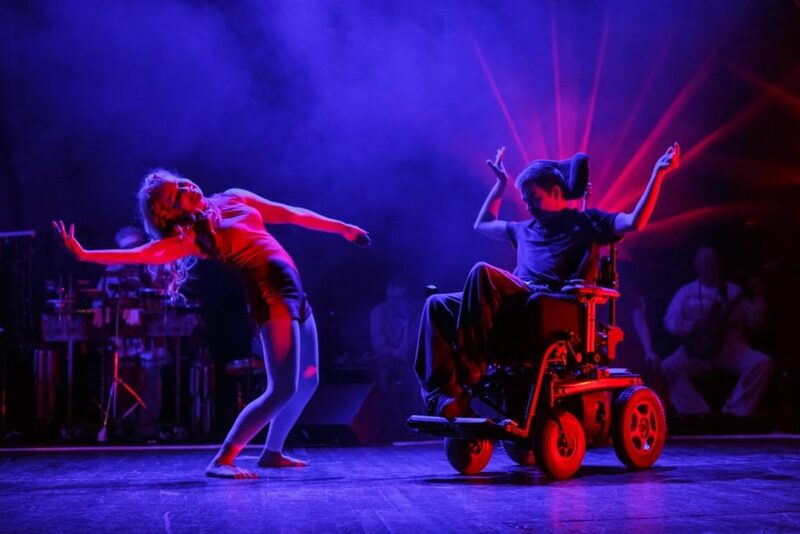 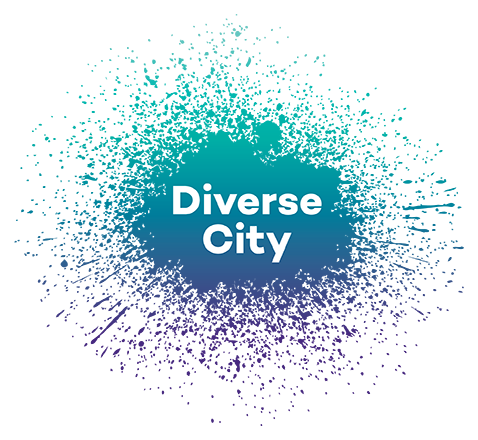 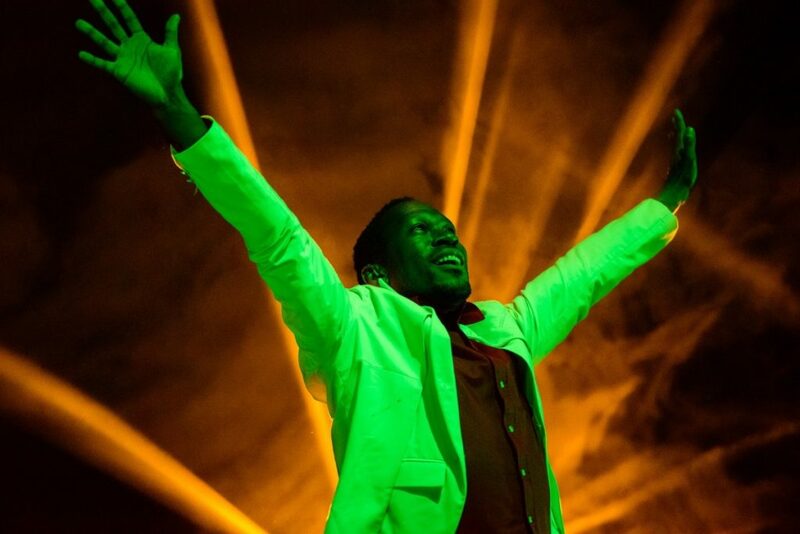 This performance was commissioned for Fast Forward Festival 2016 at Bristol’s Colston Hall.